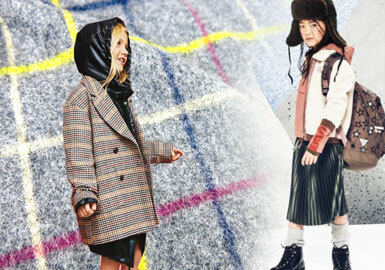 Soft sherpa and bright colorful faux leather are employed to make girls' overcoat and jacket in A/W. 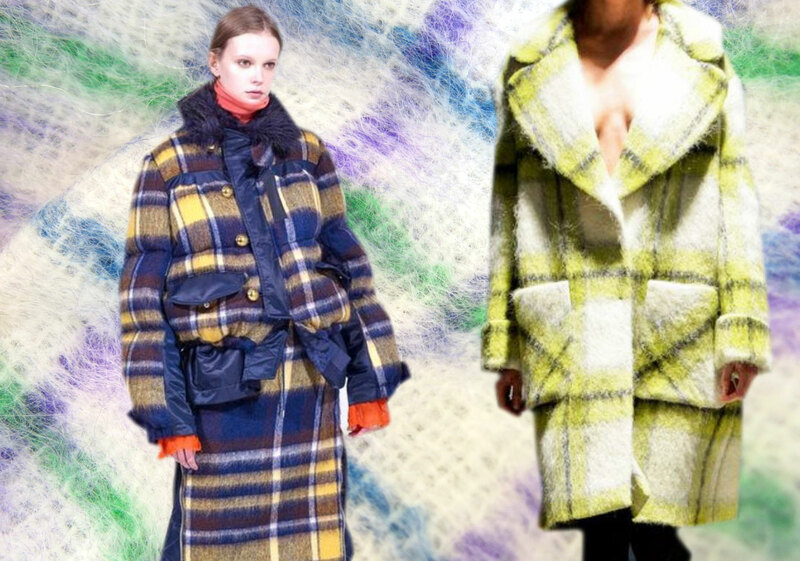 Wool with classic English check and colorful plaid is still dominant. 100% wool combined with luxury embroidery is fashionable and functional, which is eco-friendly and has no harm to kids' health. 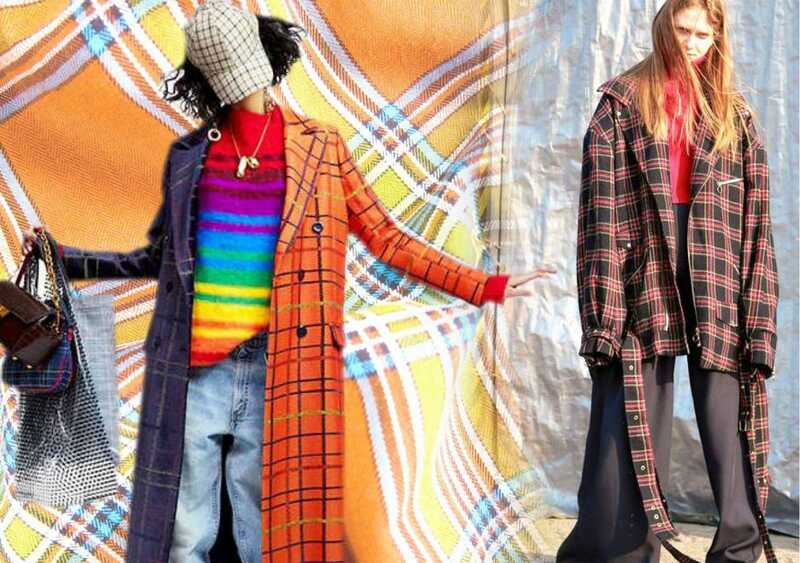 The combination of sports elements and plaid fabric creates 90s style. The neat coat blurs the boundary of casual and formal style. The application of elastic worsted wool and dynamic colors lends a sporty appeal, and the pairing of cotton an plaid creates a comfy and causal style. 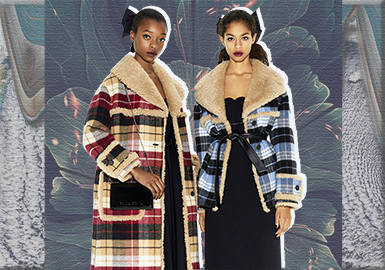 The double-faced fabric and gradient wool plaid fabric are keys in 19/20 A/W. The theme of Life cherishes the concept of time well spent, and the idea of living better rather than bigger. 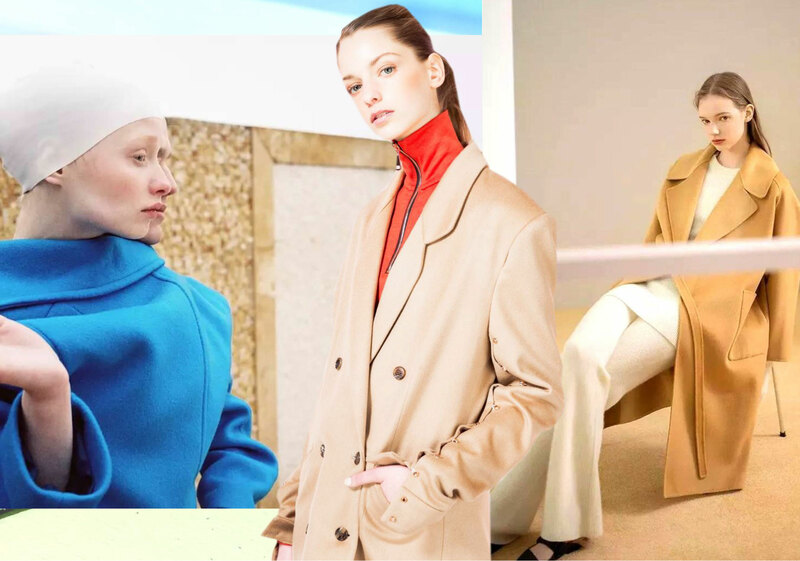 Coat is a key item to keep warm in cold weather, emphasizing practicality and fashion, as well as sustainable design and exquisite lifestyle. For materials, surface textures and skin-friendly effect are important. A variety of natural materials such as wools and sharpa are applied for elevated looks. 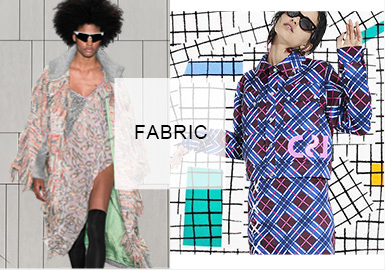 Simple silhouettes, neat cutting merge with soft details to create cool yet feminine styles. Soft and warm, sherpa furs have slightly curly and flexible hairs. They often merge with leather. 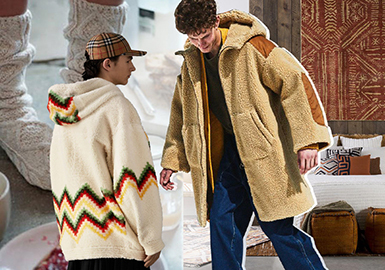 This season, torn, color-blocking, caramel and light-tone sherpa coats are stylish and elegant, providing inspiration for A/W product development. 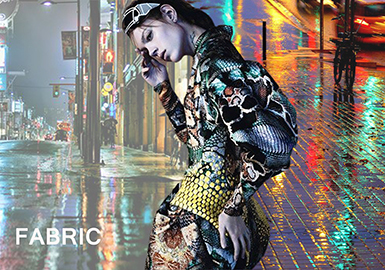 As people have better fashion tastes, it is not enough for them to blindly follow the trends. 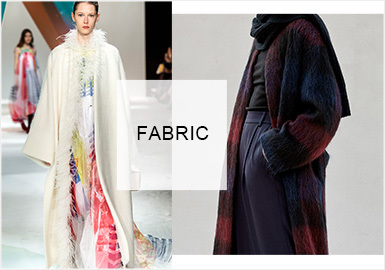 Fur and leather garments are not only worn to keep warm, but they mix with other materials for stylish looks. 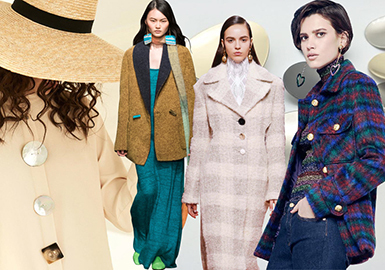 The coarse fabrics such as costume tweed, herringbone and knitted wool are prominent in this season. 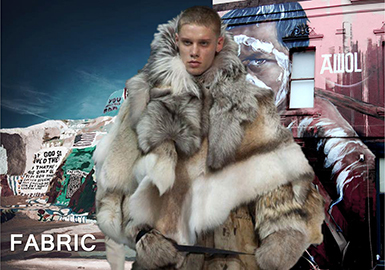 Warm and soft shearling, fur-and-leather composites are key materials for A/W to show distinctive styles, warm and funky. 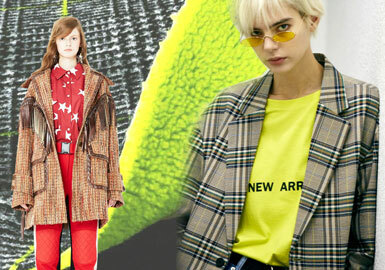 Retro checks, bright colors, calm brown and grainy texture add newness to shearing and give a natural feel. Weaves embrace 'perfect imperfection'. 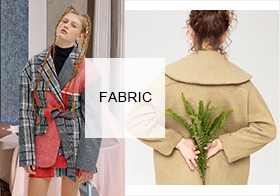 A new type of beauty is created with floating yarn textures, jacquards with imprinted effects, and dobby patterns with a darned look. 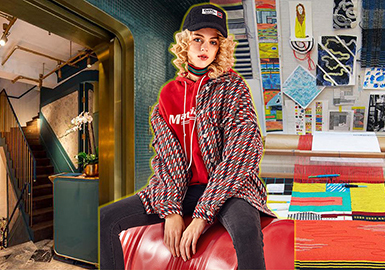 Heritage craft is evoked with vintage pattern and construction: Archival-look stripes and tweeds have a classic timeless appeal, updated with warm vibrant tones, and made more tactile with discreet novel yarn updates. Check continues to prevail in this season. The classic pattern is refreshed every season. 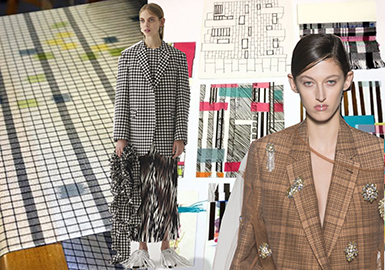 This time, check focuses on finishes, as seen at Off-White and Dolce & Gabbana's fringe design. Fuzzy surface, embroidery, mixed materials and coating are also important. 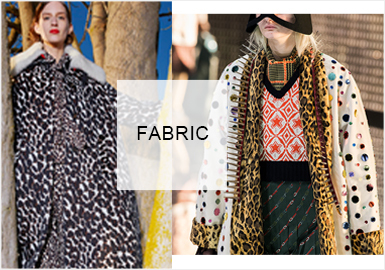 Fur is frequently seen in winter, favored for its warmth and smartness. 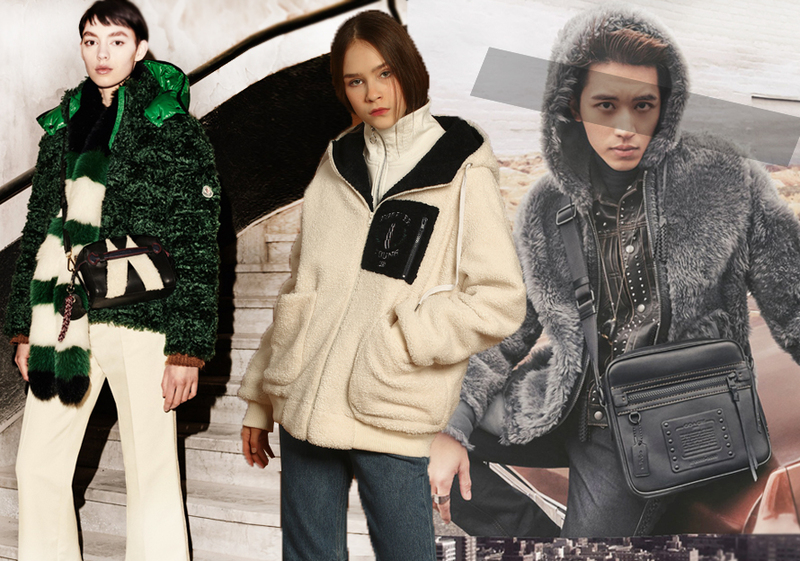 As Gucci pledges to go fur free, the concept of animal protection gains importance. 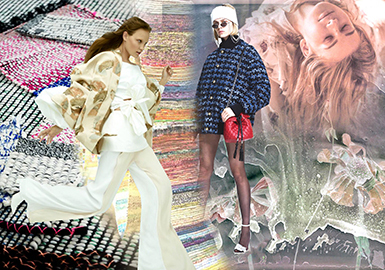 Faux fur emerges as a hot alternative in the fashion industry. It is not only a trend, but a new concept of consumption. 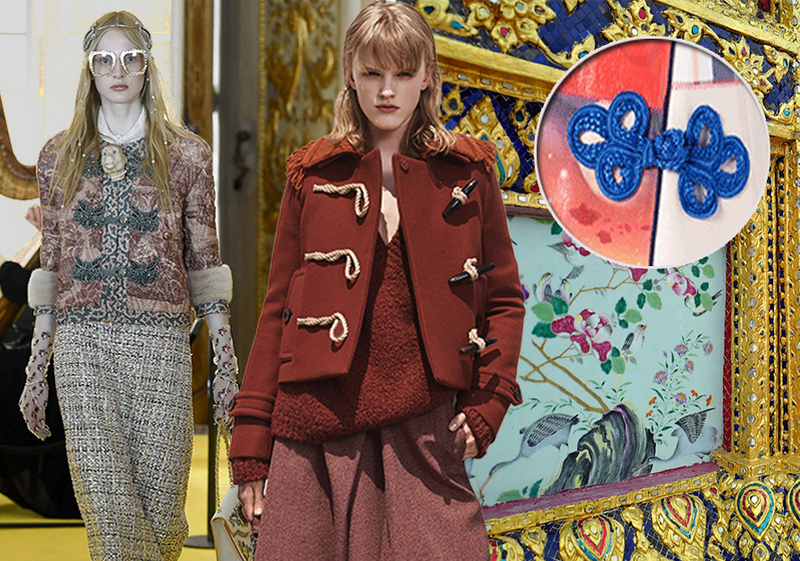 Shearling is a high-end product, also known as the soft gold. The breathable fibers are three times warmer than ordinary ones. These soft, skin-friendly and durable materials create crisp and comfy garments. 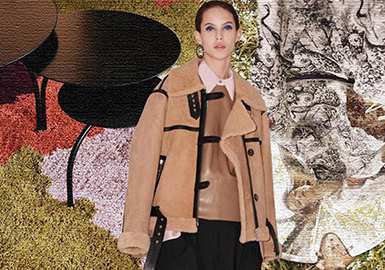 Modern shearling delivers a luxe-leisure feel.